A customer asked Appli-Tec if we could spec an adhesive capable of holding up under water as well as capable of bonding plastics and metals and then assemble the sensor located on the right in the photo above. Appli-Tec spec’d an internal off the shelf adhesive and and packaged it for the assembly process. 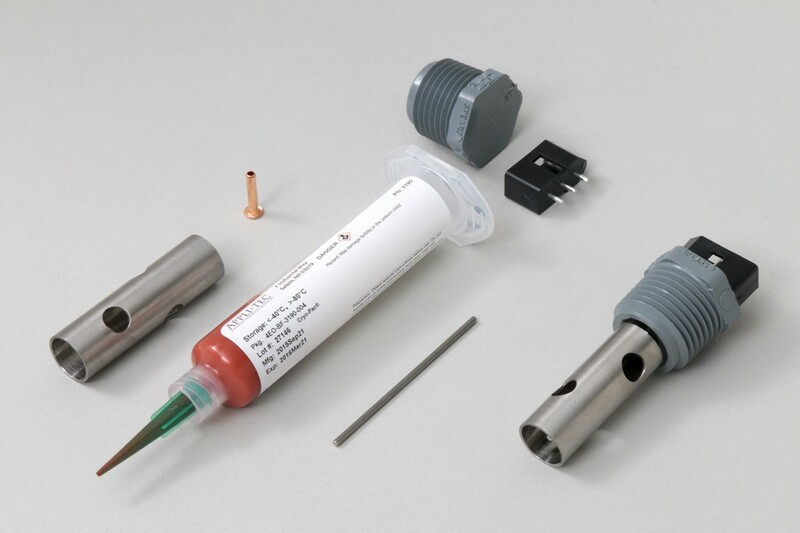 We then glued, soldered and assembled the sensor parts in-house – which included adding the adhesive sealant. The sensor consisted of six pieces shown on the left; the finished sensor on the right is ready for installation on the factory floor. In addition to saving the time, the customer didn’t have to touch or deal with wet adhesive and the associated safety issues. The finished part arrived at the factory, ready for installation. The customer improved its process and eliminated delays.